Despite strong legal frameworks for gender equality, Ethiopian women still have a lot of catching up to do. They occupy a low status in society and their developmental outcomes are still well below those of men. Ethiopia has started to support Gender Responsive Budging (GRB), but is this creating the desired effect on gender equality? 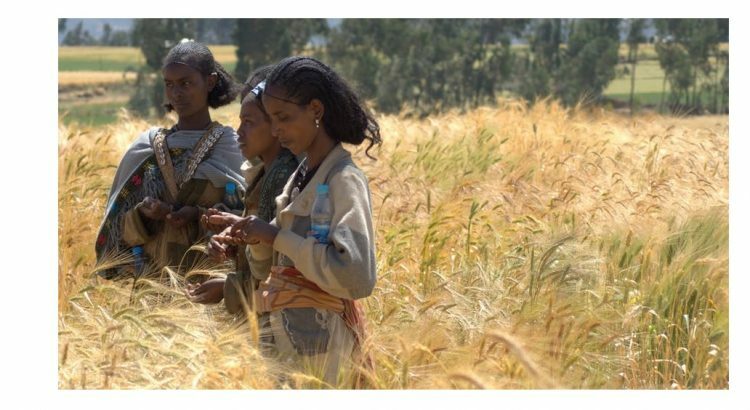 The Ethiopia Social Accountability Program phase 2 (ESAP2) introduced GRB tool in almost a quarter of Ethiopia’s 1000 districts across five public services: education, health, water, agriculture, and rural roads. We guided over 110 local organizations to help communities assess the standards and budgets of basic services they received, prioritize necessary improvement, engage in dialogue with service providers and local government, and realize the agreed reforms. Initially, very few CSOs chose to work with the GRB tool because it provided limited implementation guidelines and also gender expertise was not well developed among the CSOs. The ESAP team invited an Ethiopian gender consultant and engaged with CSOs, communities, and government gender experts in an action research process to make a new GRB tool that would work for social accountability at local government level. CSOs start with identifying and mobilizing local gender and budget expertise, which can support the social accountability process. In Ethiopia, this usually involves the Women, Children and Youth Affairs Office; the Financial Transparency and Accountability expert; and experts from the sector offices. They also timed social accountability activities to the budget cycle, so that citizens can influence budget decisions and review. Before conducting gender analysis, awareness is raised among service providers on the government’s gender policies for service delivery. Then gender analysis of service access and benefits is facilitated where community members are involved in comparing the impact of basic services on women to that of men. Citizens and service providers are then brought together to discuss local budgets and set priorities for gender equitable spending on public services. This leads to prioritization of spending on improvements that promote gender equality. Citizens subsequently monitor that service improvements indeed benefit women and men as agreed during the budget discussions. Interestingly, the CSOs had already completed a full cycle of the SA process before the new GRB tool was introduced. Focusing on the same services, the communities’ priorities changed. All six pilots show that new issues were prioritised. In Debre Markos town, GRB highlighted sexual harassment of school girls. The community had already identified the need of a fence to protect students from residents who could wander into the school yard at any time. The gender analysis highlighted the negative impact of drinking houses in terms of the harassment of school girls by their customers. The issue was raised during the interface meeting, and local authorities subsequently moved the drinking houses to the other end of town. Pilots encountered secondary schools with no separate toilets for boys and girls, and agricultural extension services that focus solely on crops grown by men. Ethiopia’s basic services may on paper appear gender neutral, but in practice they are not. Gender analysis can demonstrate how service delivery that is seemingly “gender neutral” does in fact perpetuate gender bias. We learned how to integrate gender analysis with each step of a social accountability process at local government level. Our GRB tool brings abstract gender policies to life for men and women, service providers and district officials. We hope that our work will inspire SA practitioners to develop GRB for local government budgets. This publication explains how we developed the tool and gives more detail to the results achieved for gender equality in basic service access and benefits.